Home :: Odor Control :: Pre-Filters :: Phat Filter :: Pre-Filter for 16" x 6"
Pre-Filter for 16" x 6"
Phat Filter replacement pre-filter replaces your used pre-filter to give your Phat filter longer life by filtering out larger impurities before they have a chance to enter into the actual filter. Each pre-filter is stamped with the Phat Filter logo and fits snugly over your Phat filter. 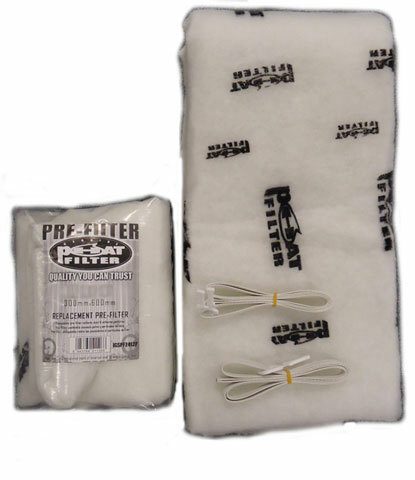 The pre-filter is available in all Phat Filter sizes and can be easily slid over the filter and secured with the plastic straps provided. If your pre-filter is dirty or discolored, it is time to change it. 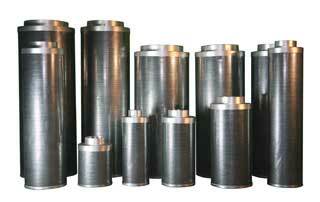 Phat Filters 16" x 6"